A Florida man beat his stepson to death for sneaking out of bed to get a cookie, said prosecutors at a Jan. 1 arraignment, adding that he also forced the boy’s siblings to take part in the deadly assault and then made them sleep next to his body all night, New York Post reported. Jack Junior Montgomery, 31, of Tampa, has been charged with first-degree murder. Seven-year-old Brice Russell was left in Montgomery’s care–along with three of his siblings–by his mother, Donya Shenita Russell, who reportedly went off to work. The family is said to have been staying at a local hotel while she worked the double shift. “While she was out working (Montgomery) chose to not only physically discipline this child himself, by not only repeatedly punching and throwing him on the ground—but threatening bodily harm upon the two brothers if they did not partake and equally discipline him,” Assistant State Attorney Matthew Smith stated in court. Afraid of being hurt by Montgomery, the boys reportedly struck Brice. The stepfather reportedly told investigators that he wanted to punish the boy for sneaking a cookie. Brice’s brothers told the police that Montgomery punched him repeatedly in the face, mouth, and stomach with a closed fist. He then threw the boy across the room. “(Montgomery) picked him up and flung him as described by the other brothers, helicopter across the hotel room into what’s kind of a cabinet, where he hit head first. And ultimately caused his brain to bleed,” Smith said. 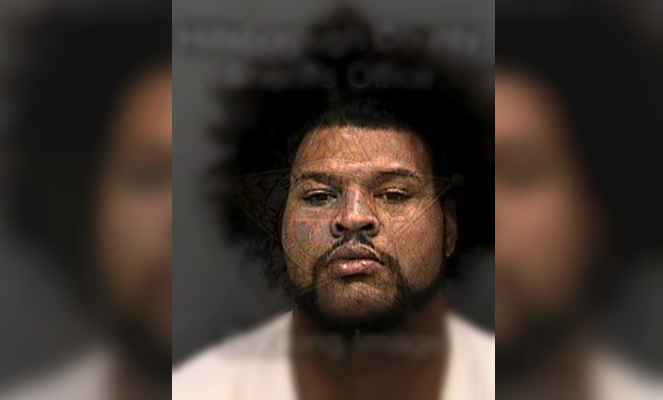 According to the Hillsborough County Sheriff’s Office, as reported by WFLA, Montgomery called 911 about 10:50 a.m. Saturday to report that his stepson would not wake up and was not breathing. Deputies had earlier conducted a welfare call at the room, ABC reported. A hotel employee called the police after hearing disturbing noises. “Beat the kid!” and “Push the kid over here!” a male voice was heard shouting, according to what the worker told deputies. The officers did not find any suspicious activity and reportedly left after Montgomery assured them that the sounds in question were caused by loud music. Hillsborough County Fire Rescue responded to the emergency call at room 205 of the Masters Inn at 6010 State Road 579 in Seffner. Brice was pronounced dead at 10:59 a.m.
Montgomery has been charged with both first-degree felony murder and aggravated child abuse. He could face the death penalty for his crimes.